Tecom Investments will invest Dh4.5 billion ($1.23 billion) to fund the creation of Dubai Internet City’s Innovation Hub and Dubai Design District’s Creative Community, the company announced. The development follows a record 2014 for the company during which it welcomed more than 800 new business partners and enabled 380 expansions across its 11 business communities. The total number of businesses now operating is more than 4,650, supporting a workforce of 74,000 across its six industry sectors of ICT, Media, Education, Science, Industry, and Design, Fashion, Art & Luxury. Investment for Dubai Internet City’s Innovation Hub will provide 1.6 million sq ft. of dedicated space to 15,000 knowledge workers while that for the Dubai Design District’s Creative Community, will provide a dynamic destination covering 1 million sq ft for emerging designers, artists, and other creative workers. 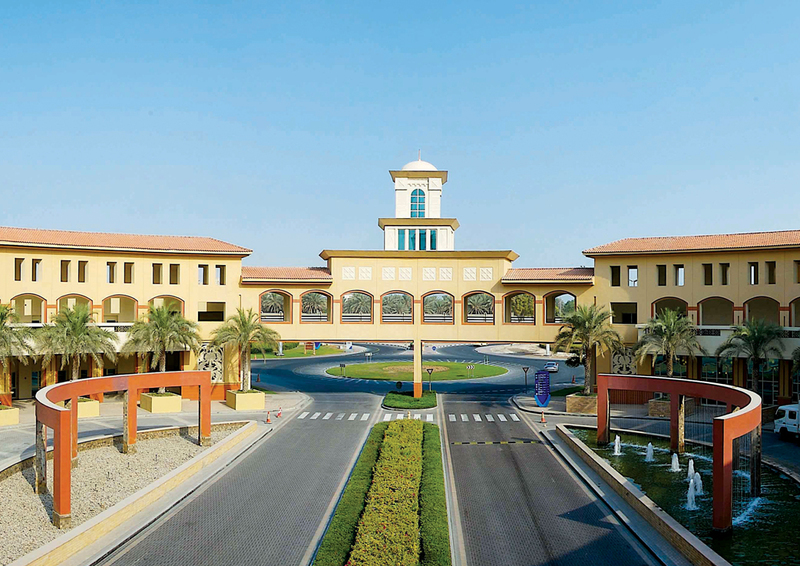 Elaborating on its 2014 performance, the company said over 30 per cent of its business partners have been located within Tecom’s communities for a decade or more, and occupancy across Dubai Internet City, Dubai Media City and Dubai Knowledge Village remains high at 95 per cent. Tecom Investments announced new developments and the delivery of key projects in 2014 including: The Butterfly, a two tower development located in the heart of Dubai Media City; the DuBiotech Headquarters Building, which comprises commercial space and retail units; and the Publishing Pavilion and Makateb in International Media Production Zone (IMPZ). Tecom also launched Villa Lantana, a 440-villa residential community located in Al Barsha, sales of which it says are robust for the first phase and ahead of target. “Tecom Investments is at the forefront of the Government’s new visions, strategies and plans to promote sustainability, cement Dubai’s position as a smart city, and strengthen its position as a global capital of the Islamic economy,” it said. Commenting, Dr Amina Al Rustamani, group CEO of Tecom Investments, said: “Our pioneering communities continue to attract new business partners and facilitate expansions, as demonstrated by our strong annual results. Over the course of the year, we introduced several enhancements to our services for the benefit of our business partners, with a view to making running their businesses easier and more efficient. We also implemented a series of exciting new developments and initiatives that will support future growth and help to drive Dubai’s transition into an innovation-led economy. Through its new strategy announced at an event to mark Dubai Internet City’s 15th anniversary in October 2014, Tecom Investments will contribute to Dubai’s transition to a global innovation hub. This strategy includes a renewed focus on developing smart, sustainable infrastructure; making doing business easier; attracting talent and investing in human capital; supporting start-ups; fostering dynamic industry ecosystems, and activating a vibrant community. 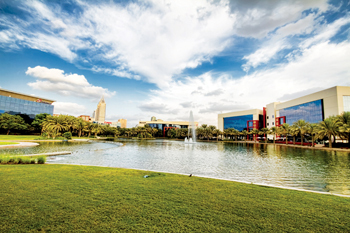 Significant improvements to enhance the overall experience of Tecom Investments’ business communities were also announced as part of this new strategy, including wellness facilities such as running tracks, bike paths and clean transportation technologies across Dubai Internet City, Dubai Media City and Dubai Knowledge Village, the introduction of incubators, similar to Dubai Internet City’s in5 innovation centre across all sectors, and support for small businesses and start-ups from across the region.